Your cargo van needs to be able to pull its weight, your weight, and additional weight. It needs to be strong and efficient, like the 2019 Mercedes-Benz Metris Cargo Van. We can show you how able-bodied the 2019 Mercedes-Benz Metris Cargo Van is. Stay with us to learn about the 2019 Mercedes-Benz Metris Cargo Van engine type and performance specifications. The length of time you can go between maintenance intervals can never be long enough. If it were up to us, all vehicles would be flawless, but unfortunately, we have yet to find a vehicle that can go forever without a few fixes and updates. The Mercedes-Benz cargo and passenger vans are probably as close as it gets for now. Keep reading to learn about the Mercedes-Benz cargo and passenger van maintenance intervals and appointments. One rule of owning a small business is that you always have to do your best to keep costs down. You want to maximize your profit, and you know that investing in a quality cargo van will lower your current budget on vehicle maintenance and fuel. We have the solution: the 2019 Mercedes-Benz Metris Cargo Van. Keep reading below to learn about the 2019 Mercedes-Benz Metris Cargo Van cost efficiency. Today we want to tell you about the 2019 Mercedes-Benz Metris Cargo Van safety features. Every feature that we are going to highlight today is a standard feature on the Metris Cargo Van and will work to make your commute safer. 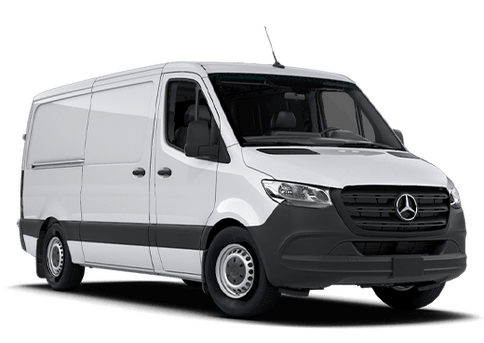 The 2019 Mercedes-Benz Metris Cargo Van is available here at Mercedes-Benz of Arrowhead Sprinter, and we hope that you will come in to view our inventory and take a test drive. Keep reading to learn more about the 2019 Mercedes-Benz Metris Cargo Van safety features. There are two available models of the 2019 Mercedes-Benz Metris Cargo Van, the 126” wheelbase version or the 135” wheelbase. The differences between the two are mainly shown in their size measurements and cargo capacity, with a slight increase in starting MSRP for the larger of the two. 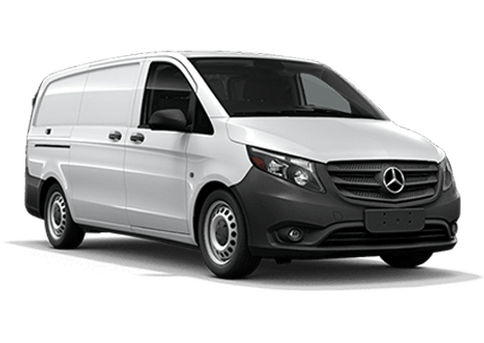 Here, we plan to go over the 2019 Mercedes-Benz Metris Cargo Van cargo capacity and size measurements of both models so that you can compare them. Read on to learn more about its capabilities as a cargo van. Does the Mercedes-Benz Metris have navigation? 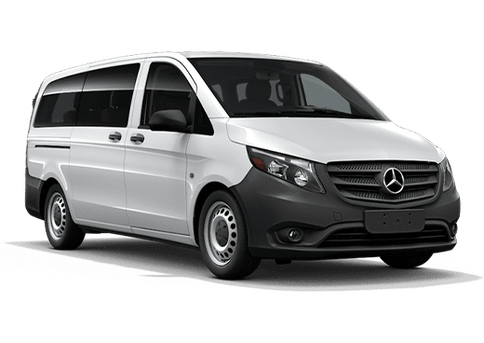 Posted in Mercedes-Benz Metris, Mercedes-Benz Metris Cargo Van, Mercedes-Benz Metris Passenger Van, Mercedes-Benz Metris WORKER, Metris WORKER Cargo Van, Metris WORKER Passenger Van | Comments Off on What is included in the Metris Driver Efficiency Package? How much cargo space does the 2017 Metris Cargo Van offer? The Metris is the benchmark of mid-size vans thanks to a heritage of innovation and versatility. Designed to fit the needs of you and your business, the 2017 Metris Cargo Van is able to maneuver tight streets and low parking structures with ease. The van’s best-in-class turning radius allows the van to move through tighter spaces than any other mid-size van on the market. Even with this compact, space-saving design, the Metris Cargo Van still offers impressive cargo, payload, and towing capacities. Continue reading for the 2017 Mercedes-Benz Metris Cargo Van Cargo and Towing Capacity. Posted in Mercedes-Benz, Mercedes-Benz Metris Cargo Van | Comments Off on How much cargo space does the 2017 Metris Cargo Van offer? Owner Testimonies: See how the Metris is at the center of everything this business does! Wondering about investing in a 2017 Mercedes-Benz Metris for your business? This 2017 Mercedes-Benz Metris Owner Review from the Mercedes-Benz YouTube channel highlights all the ways the Metris has improved the day-to-day operations at a maintenance company. Marcin Tomasvczyk of Midwest Building Maintenance services customers in and out of the city, and needs to carry shop vacs, floor buffers, and cleaning supplies along for the ride. He does all this with one van: the Mercedes-Benz Metris. See how below. Posted in Mercedes-Benz Metris, Mercedes-Benz Metris Cargo Van, Mercedes-Benz Metris Passenger Van, Metris WORKER Cargo Van, Metris WORKER Passenger Van, Video | Comments Off on Owner Testimonies: See how the Metris is at the center of everything this business does!